Sometimes we attend seminars and leave untouched; other times we are forever changed. I experienced the latter this past weekend, through "The Easiest Way Live Seminar" with Mabel Katz and Dr. Ihaleakala Hew Len. Too many places in me were touched to write about them all at once. They'll have to come out over time. One, though, involves the human fear of being "nothing" -- with the surprising recognition that there is also great freedom in this. 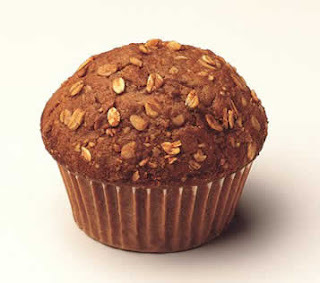 For me this was like a spiritual cleanse, unsticking clogged energies like the best bran muffin one could hope for. The very essence of Ho'oponopono is that we come from nothing (the Void) as an exact likeness of the Divine. "We are perfect, but we've got doo-doo [extraneous data or memories plugging us up]," said Dr. Hew Len. Hawaiians even have a term for this situation: kukai pa'a (intellectual constipation). Ho'oponopono cleaning is all about letting go of this "doo-doo" so that we return to our original state of nothing -- "Zero". It is already present, requiring no extra qualifications. Only at Zero can we be our true selves, which is Love. Many of us fear being nothing, and do everything in our power to stand out, achieve, get degrees, make money, "be somebody", and do great things. In fact, those of us relying on our intellects to make us successful find this "nothing" stuff really hard to grasp! But Mabel and Dr. Hew Len uprooted all that this weekend. "It is not the function of the intellect to know," said Dr. Hew Len. "It is the function of the intellect to clean." Thwump! toppled my own need to "know". Earlier in the week I had taught at American Medical College of Homeopathy here in Phoenix. Most of the class was participating, but one student in the front row read a book while I spoke and tried to engage with the group. The student flipped pages, often re-plunking the book on the table. It was a loud message. For this student, I seemed to be nothing -- in a painful way to me. No matter how much I had worked with my material and wanted to reach all the students, it clearly wasn't happening, at least with this one. Fortunately when Dr. Hew Len talks about "being nothing", he opens up a whole other realm of meaning. It was marvelous for me (the quintessential intellect!) that he read about "nothing" from EB White's Charlotte's Web. It's a classic, often said to be a "children's book". My inner child was delighted. In this book, Wilbur the pig is seeking playmates but finds none. He is very lonely. How many of us can relate to this? He approaches a lamb, who tells him, "Pigs mean less than nothing to me." "What do you mean, less than nothing?" replied Wilbur. "I don't think there is any such thing as less than nothing. Nothing is absolutely the limit of nothingness. It's the lowest you can go. It's the end of the line. How can something be less than nothing? If there were something that was less than nothing, it would be something -- even though it's just a very little bit of something. But if nothing is nothing, then nothing has nothing that is less than it is." "Oh, be quiet!" said the lamb. "Go play by yourself! I don't play with pigs." We in the audience laughed as Dr. Hew Len shared this little interchange. I felt my worries come up, collapse, and release. Through his examples, he showed us that this "nothing" or "Zero" place is exactly where we all want to be. When you are nothing, you are limitless; there is no stuckness. Since the intellect knows nothing in comparison to the subconscious, we might as well acknowledge our cluelessness. "If you're nothing," said Dr. Hew Len, "then Divinity can enlighten and inspire you. We have so much bull**** memories, CD's playing in our minds. We can let go and let God. Be clear that you are perfect, created in the exact likeness of the Divine. The Light is always on, but you're stuck! Kukai pa'a! Ho'oponopono releases the kukai." When we are ourselves, then all we need comes naturally. This might be ideas, opportunities, people showing up, anything. Be ourselves, and Divine Light comes through automatically. Ho'oponopono is about erasing and letting go of errors, allowing Divinity to transmute all these to pure light -- taking us back to Zero, nothing. "You want the bank? It's at Zero! The perfect relationship? It's at Zero! Let go so you can be yourself," he added. Mabel brought her own lightness and play to this learning. Here we are, she joked, going through life with a boom-box of CD's on our shoulder! We're playing them all the time, and wondering why the same things keep happening. They might be playing really soft, but they're still playing. It's just another illustration of our "kukai pa'a" problem. This includes, they both said, introducing lists of goals, intentions, and resolutions into our lives. This flies against most "Law of Attraction"-type teachings, yet in Ho'oponopono the only way to receive perfect information is to be at "Zero" (nothing, unobstructed with additional data). "If I would have written how much money I would have, or how many rooms I want in my house, I wouldn't have 1/4 of what I now have," shared Mabel. For Mabel, the only perfect question is, "How do I clean?" All others (such as "why?" "how come?" and "what if?") lead down the intellectual path to confusion, doubt, wasting time, or worse. That's why she calls her work "The Easiest Way." More later. Congrats on going to the conference. Sounds like you learnt a lot. Thank you for sharing this with us, very good source that reminds us that we're not special, and we know nothing.